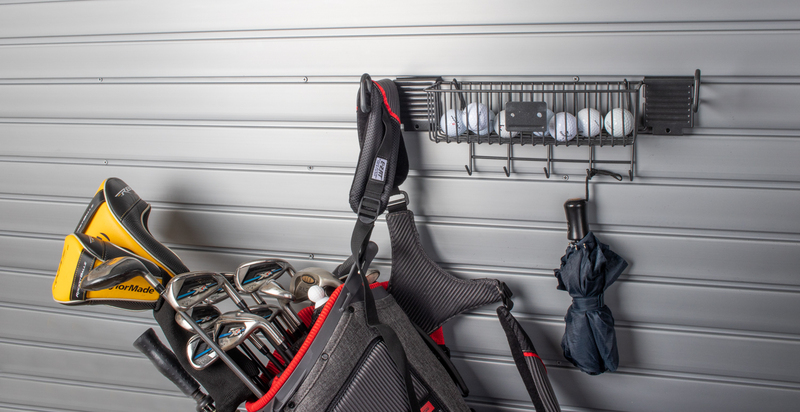 The HandiWall Golf Accessory Holder holds 2 golf bags and tons of accessories with basket, 2 large hooks and 5 small hooks. 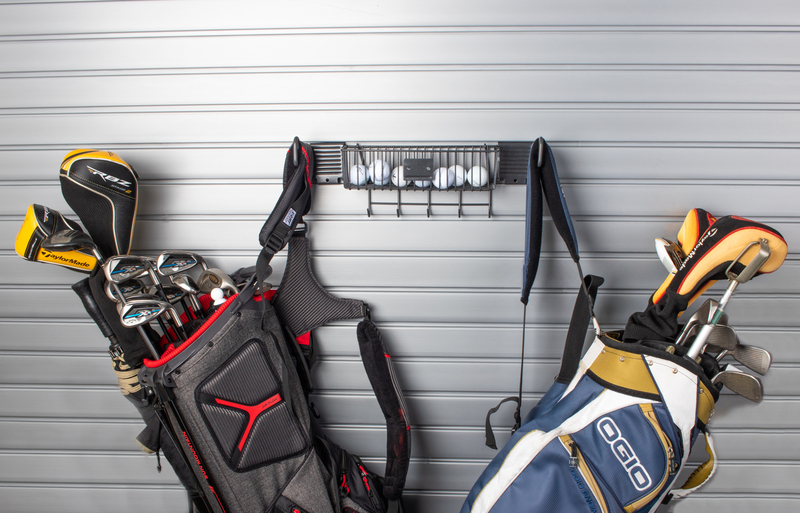 Stores and organizes your golf equipment on your garage wall panels. 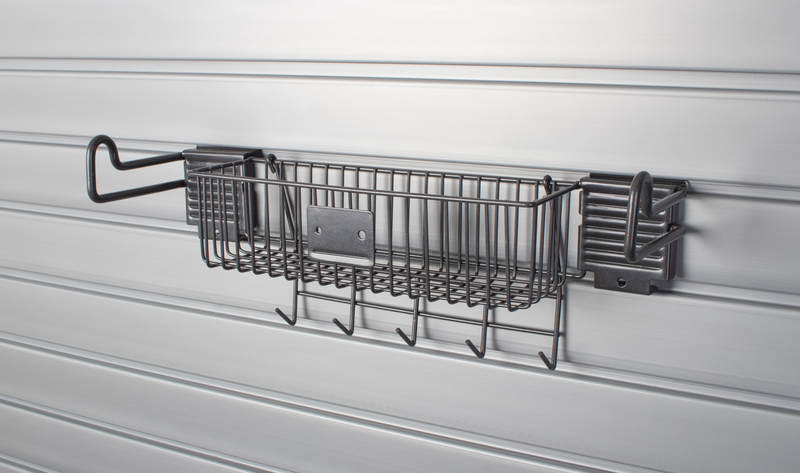 Constructed of powder-coated steel wire.